I wrote somewhere back last month that I got taken by an eBayer who sold me a pipe with repairs that weren't disclosed in the description...the lip chipped out with the first pipe cleaner run thru it. 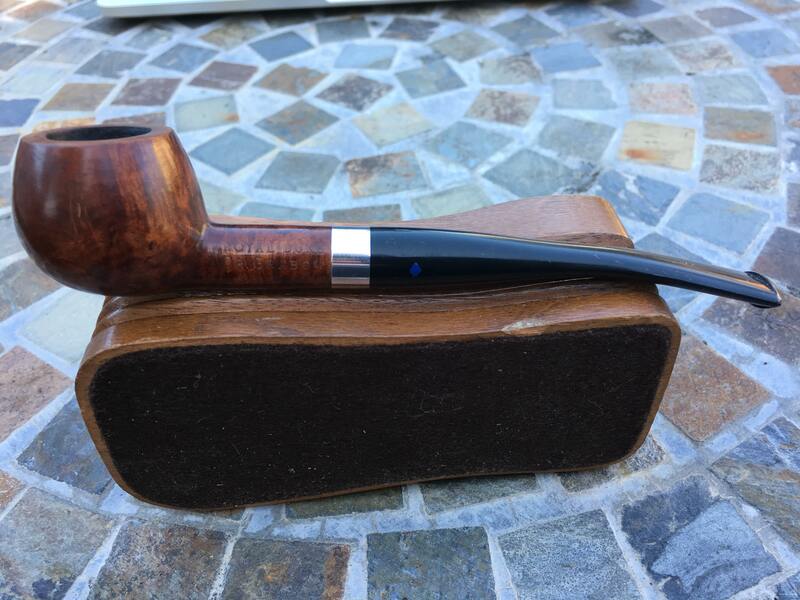 Well, I sent it back to International Pipe and they did a spectacular job of stem replacement with fast turn around time...my hats off to them...old school professionalism for a fair price! How much of the stem did International Pipe actually replace? Just wondering if they recreated the whole stem and Dr G spade or simply repaired the original stem. It looks great regardless of how they did it! That's a really nice pipe! It's nice when you have a fast turn around, I on the other hand have been waiting 5 months and counting for a replacement stem on one of my Dunhills. I shall not name names but it's ridiculous. No repairs, they replaced the complete stem and polished the pipe! So awesome they are still tooled to do that sort of work. Also, glad to see you respond.. haven't seen you around in a while. Is the stem ebonite or abs?